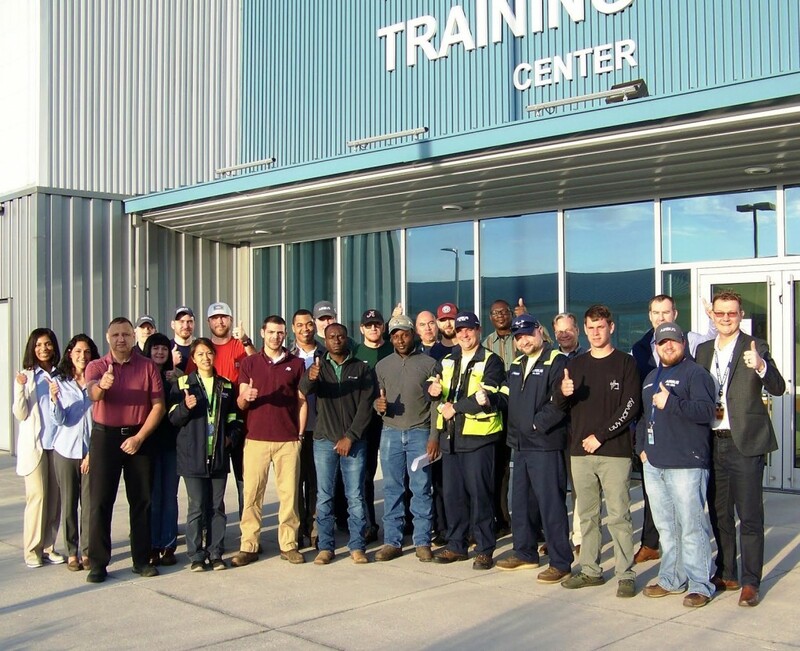 The first production employees for Airbus’ A220 production facility in Mobile, Alabama have officially reported for work! The employees began their new hire orientation training at the AIDT facility on the Mobile Aeroplex at Brookley today. After a month of local training, the team will transition to Mirabel, Quebec (Canada) to train for three months alongside their colleagues in the A220 assembly line organization there. The new A220 team members were joined in the new hire orientation by current A320 employees transferring to A220 production and newly-hired colleagues destined for the A320 Family production organization, which is increasing the number of aircraft it produces over the coming year. In all, the company plans to hire approximately 600 new employees for the Airbus manufacturing site in Mobile by mid-2020. For information about open positions, and qualifications go to https://airbususmanufacturing.applicantpro.com/jobs/.